Vis Com students need a portable hard drive that is Mac compatible with at least 500 GB of space, thunderbolt and USB 3.0 connectivity, and the 7200 rpm for video editing. In addition, it should work with your own computer and ports. Although USB drives are cheap, USB 2.0 is too slow for most Vis Com activities. If your computer doesn’t have USB 3.0, you need a faster connection! Here are some models I like now. 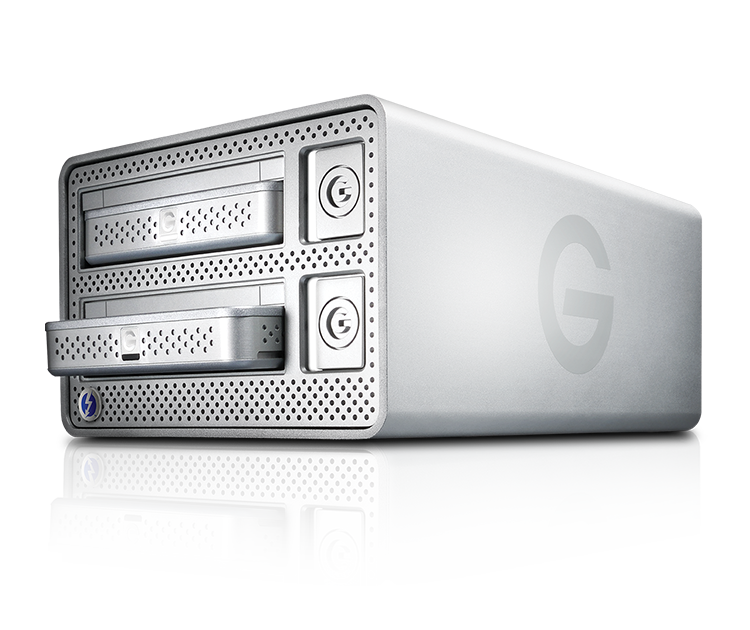 G-Technology G-Drive mobile with thunderbolt and 1TB of memory retails for $199. LaCie Rugged Thunderbolt, also with 1TB memory, is similarly priced at $199. Trends are moving toward RAID technology, which backs up itself, and is the data storage of choice for video editors. The price for RAID is dropping quickly. The G-RAID mini with USB 3.0 and Firewire ports starts at $250. But my current favorite is the Evolution Series from G-Technology, where portable drives fit into slots on a docking system. It’s easy to shoot on the road and back up your work. Mix, match and expand the system as needed. Genius! This entry was posted in Gear, Photo II, video and tagged Firewire, G-technology, hard drive, LaCie, memory, portable media, RAID, storage, thunderbolt, USB 3.0. Bookmark the permalink.